I think the cover looks a bit plain.. but maybe it’s the white background, all past Young Ace covers have white backgrounds, I guess it’s a rule. The magazine will be out November 4! 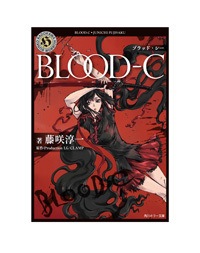 And here is the cover of BLOOD-C Official Complete Book, which was drawn by CLAMP. Source: Amazon.jp (check for larger cover image). 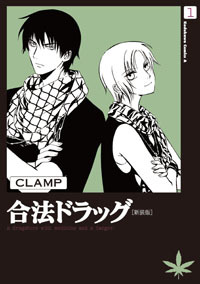 The book also has CLAMP’s original character concepts for the series. It will be out October 27. There are still 3 covers that shall appear on the next few days, the covers of GATE 7 #2, Jump SQ #12 (featuring GATE 7) and Gouhou Drug #3 [new version]. 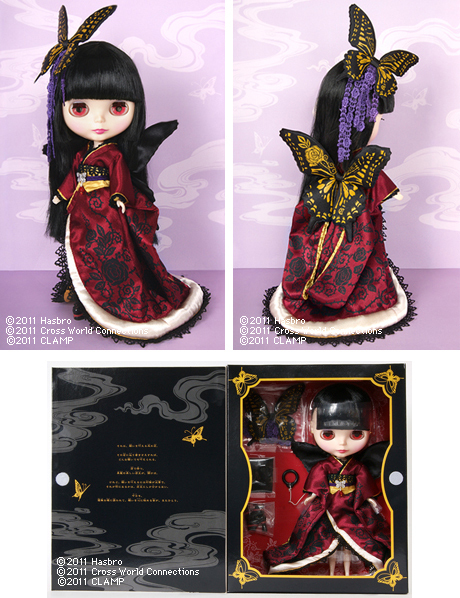 The official website of Blythe has the final proof for their B2・HOLiC doll designed in collaboration with CLAMP. There is also a Swallowtail butterfly on the back of the belt, brilliant patterns are printed on the wings and on the inside is a rose with the letter C, an insignia for CLAMP! For more pictures, details and specifications, check Blythe’s official website. The B2・HOLiC doll will be released this month limited to 1000 units. 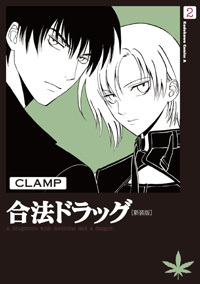 An autograph session with CLAMP members will be held on October 23 to promote the release. On another note, the official website of Young Ace magazine has the preview for its next issue with the debut of Gouhou Drug’s new series Drug & Drop. Check them here and here. The new series of Gouhou Drug will be getting a new title and it’s called “Drug & Drop” (ドラッグ＆ドロップ). The information comes from the next issue line up of Young Ace #11. ドラッグ＆ドロップ could also mean “drag and drop”, as used in computer language, but given the context, I am assuming it stands for “Drug & Drop”. I’m not sure why the change in the title, will it be restarted from the beginning? Maybe the former title Legal Drug was too daring? 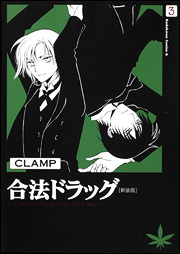 I remember CLAMP said they had some troubles with the marijuana in the logo. The new series of Gouhou Drug, now called "Drug & Drop", begins on November 4! Update: The title change is confirmed by website Comic Natalie. According to the website, the first chapter will come with color page(s) and Drug & Drop will feature the magazine cover. 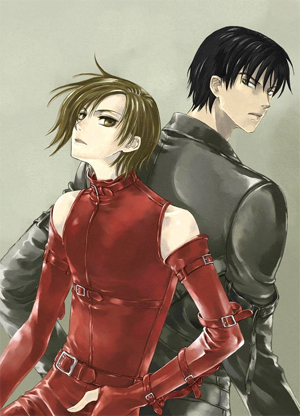 This is a historical day for CLAMP fans. Specially those who have been waiting for this moment for 8 years now. I’ve been hoping to be able to post about “the return of Gouhou Drug” since the series went on hiatus in 2003. 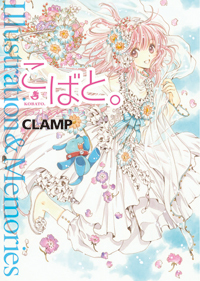 We’ve had many hints that the manga would resume, and we had some false alarms too, but the timing was perfect: CLAMP had only 1 series, their Kadokawa series (Kobato.) came to an end and Nekoi didn’t have any series in which she worked as a primary artist. I wasn’t at home when I saw the news, and I didn’t have any computer near me, I posted the news with my mobile so I had to be short, but I couldn’t wait to post it. So first, let me give some more details about Gouhou Drug’s return. It will be resumed on November 4, in the December issue of Young Ace magazine. To promote the new series, Kadokawa is launching a campaign along with Kobato. Details are on this month’s Newtype magazine (but it’s not possible to read all the details from the leaked scan). As part of the promotion, the previous 3 volumes of Gouhou Drug will be re-released with new covers starting on October 3. 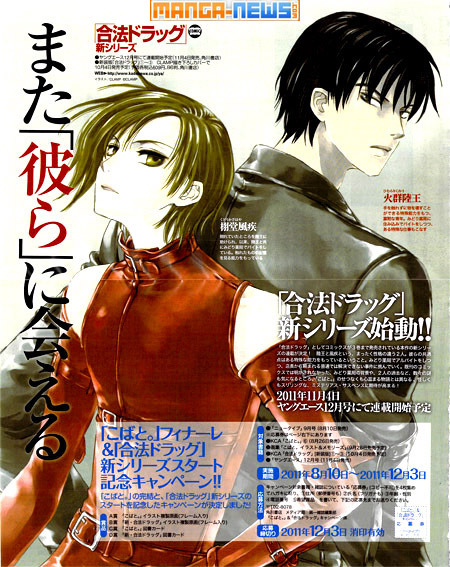 Young Ace is a shounen magazine, but we know that the magazine has never been such an issue for CLAMP (XXXHOLiC and Tsubasa were not exactly the typical shounen series and yet they both ran in Shounen magazines). 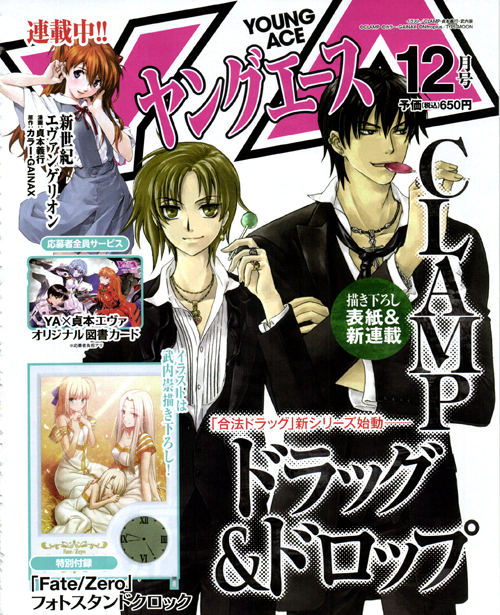 CLAMP works cross genders so I’m expecting CLAMP will not change Gouhou Drug’s essence just because of its magazine. Also, although Newtype is advertising the comeback as a “new series”, I don’t think it will be a new story from scratch. 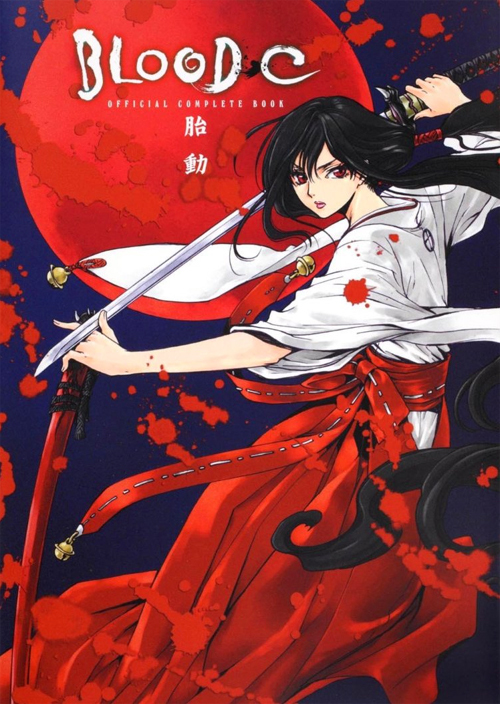 I think it will continue from where it left off, which is why they are throwing this campaign and re-releasing the previous volumes. They probably chose to use this term “new series” because it’s been a real long time since the last chapter was published and the resume will happen in a different magazine. I could be wrong, of course, but that’s what I think. I am so happy with this news, so so happy I can’t put into words! I hope people who were losing faith in CLAMP will be happy about this and will join us to read the continuation of Gouhou Drug. This has raised my hopes for X and CLOVER, too. I dedicate this and my previous post to starsdust, for being the one Gouhou Drug fan in my mind (I TOLD YOU I WAS GONNA GIVE YOU THIS NEWS!!!!! ).